Chase Martinez faced his former team Saturday. It was not the strongest start for Martinez. He recorded six strikeouts against the Comets (20-10-1) in five innings of work but allowed five earned runs and eight total runs in the Knights’ (8-19) 13-4 loss. 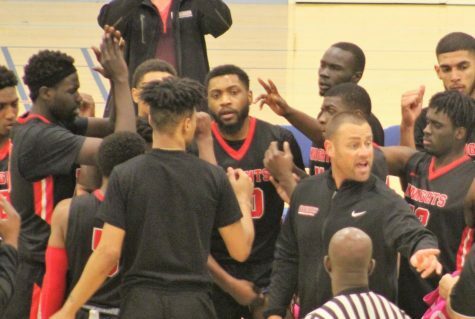 “I think on Palomar’s end, with him knowing a lot of the players … they had an agenda,” Brown added. Martinez viewed the game positively, even though he struggled at times. It was not the result that he had hoped for, however. “I just didn’t have my best stuff today. I think I just came in too overhyped. It was good for me. 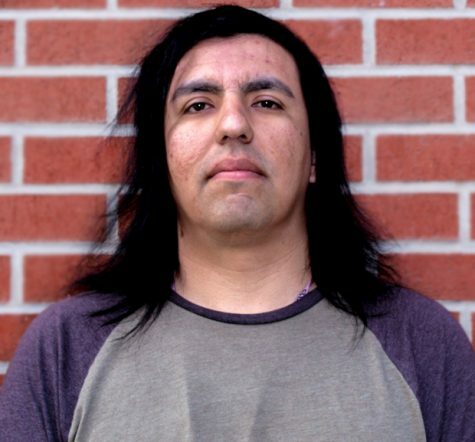 It was an experience,” Martinez said. Brown considers the team fortunate that Martinez landed at City College after parting ways with the Comets. The lopsided score was another growing pain for a young team. Seven of the Knights’ nine starters are freshmen, including Martinez. Brown believes that the biggest problem the team experienced in the loss was a lack of maturity, but it is a problem that he believes can be corrected. 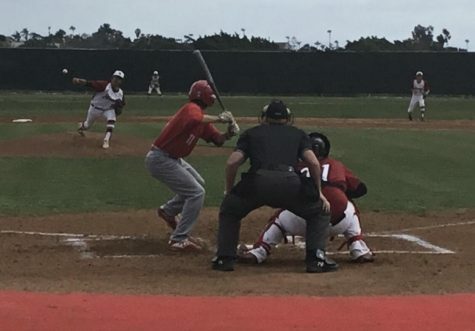 City College won the first game of the series against Comets on Tuesday in the 10th inning on a walkoff home run by Alex Garcia for a final score of 5-4. The second game on Thursday resulted in 7-2 loss for the Knights. 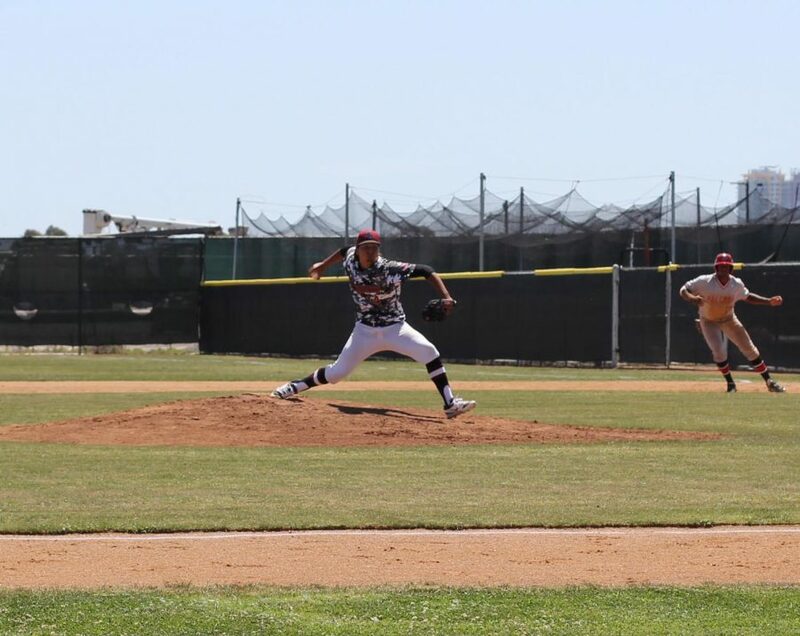 City College will face Pacific Coast Athletic Conference rival San Diego Mesa College (22-10-1) on the road on Tuesday in the second to last series of the season. Ava Koppenschlager collects a base hit against Victor Valley. City College pitcher Ava Kopperschlager picked up a win and a save in the Knights’ games against Victor Valley College during the double header at home on Saturday. The Knights (14-12) jumped out to a huge lead early in the first game against the Rams (5-24) when they started off the bottom of the first inning with six consecutive runs. They kept the game out of reach throughout, ending with a final score of 9-5. Kopperschlager pitched all seven innings. Zoe Manjarrez was called upon to start the second game against the Rams and pitched four innings, leaving the contest in a 4-4 tie. City College scored three runs in the bottom of the fourth, giving Kopperschlager a cushion to work with when she took the mound in the fifth in relief of Manjarrez. Kopperschlager pitched the rest of the way in the 12-5 Knights victory. 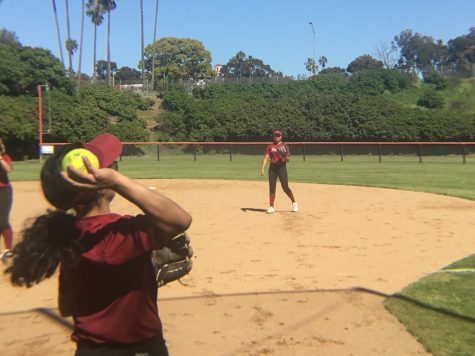 “Ava pitched the first game … and then (in the second game) she came in and just shut them down,” City College head coach LeeAnn Taylor said after the doubleheader. Added Kopperschlager: “My body is exhausted, but I feel good. I can keep pitching. (Taylor) could put me in right now,” she joked. 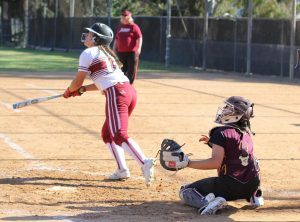 Kopperschlager put an emphasis on being aggressive at the plate against the Rams, attacking the ball on the first pitch of her at-bats and helping herself out offensively. The pitcher was also assisted by City College first baseman Alyssa Gonzalez, who had a successful day at the plate going 5-for-8 and scoring three runs Saturday. 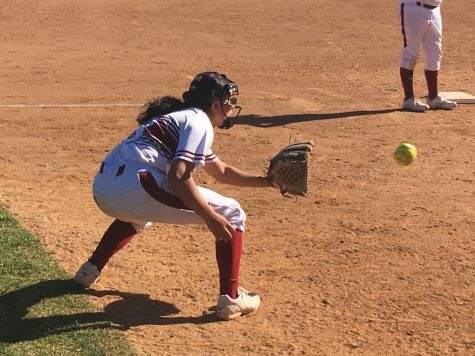 Knights’ ace Sabrina Figueroa was given the day off from pitching Saturday after starting against San Bernardino Valley College (2-27) the day prior. The Knights beat San Bernardino Valley, 21-2. The team opened the week with a 7-4 loss against conference rival Palomar (28-5). The Knights continue to explode offensively,scoring a total of 49 runs in three games. 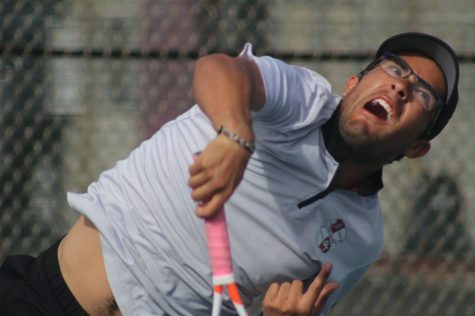 Brandon Lupian picked up his first playoff win as head coach of the City College men’s tennis team after the Knights won a rematch of a regular season contest against Glendale Community College on Tuesday. 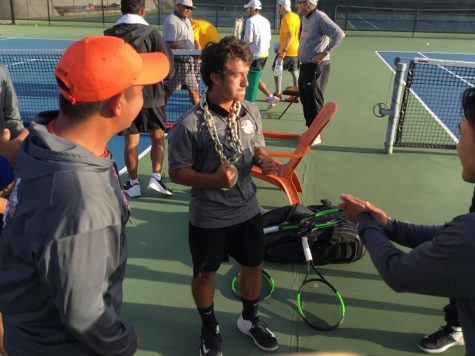 It was the first men’s tennis playoff match hosted by a San Diego school since 2015. The Knights (16-6) will face No. 1 seeded Cerritos College (16-2) in the second round of the Southern California Regional Playoffs. Read the entire story of the Knights win here. The Knights women’s tennis team participated in the PCAC tournament Saturday. Aliza Wearren and partner Palia Griffin left the event as PCAC doubles champions. The duo beat the tournament’s two top seeded teams, No. 1 seed College of the Desert and No. 2 seed Grossmont College. 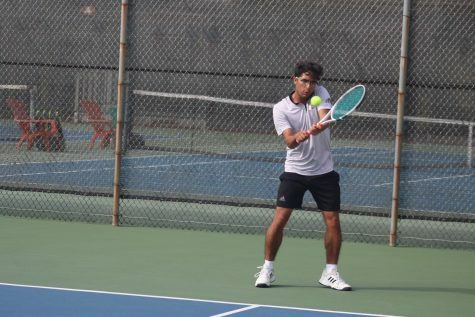 The Knights will next be featured at the Ojai Tennis Tournament later this month. 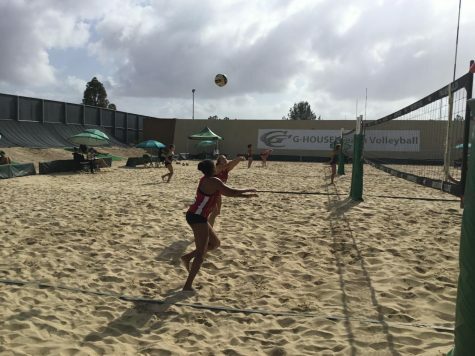 San Diego City beach volleyball (11-9) played two games on Friday in El Cajon, a 5-0 loss against Grossmont (17-2) and a 3-2 victory against Palomar. Team Captain Alina Fletes was held out of the game due to injury, causing changes to the Knights lineup. Fletes was impressed with her team in the face of the challenges. For the complete story of the Knights’ trip to Grossmont click here. 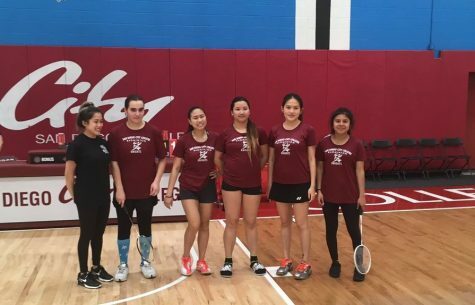 Knights badminton (4-2-1) lost, 11-10, to Grossmont (4-2-1) on Thursday. The Knights are now in second place of the PCAC with two games left to play in the season. They will next play San Diego Mesa on the road Wednesday at 3 p.m.